Preheat oven to 200°C (400°F). 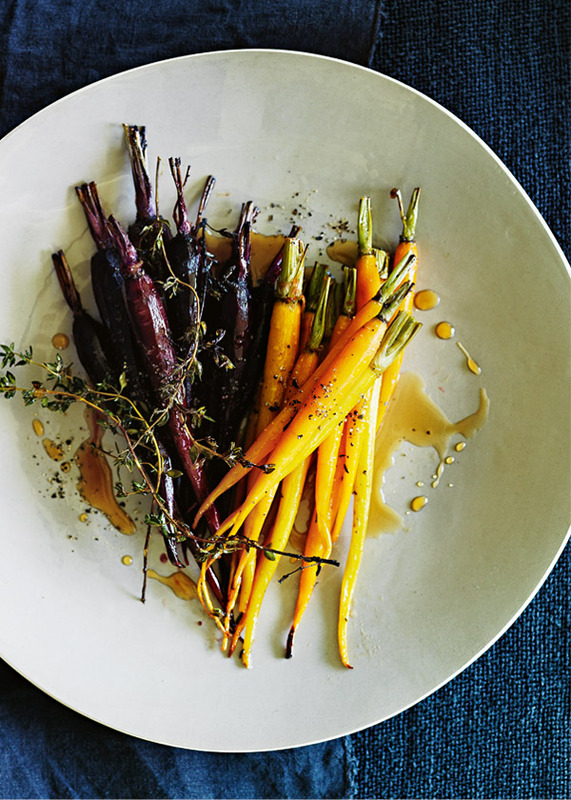 Place the carrots on a large baking tray with the oil, honey, lemon juice, thyme, salt and pepper and toss to combine. Roast for 30 minutes or until the carrots are tender. Serves 2.